These beautiful envelope pillow covers are a great 17" X 17" size and feature toile front with deep green faux velvet back and rope trim. 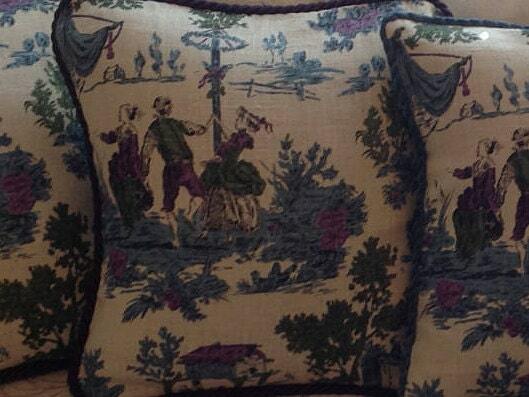 The linen toile is a deep rich mix of blue, purple, and green. 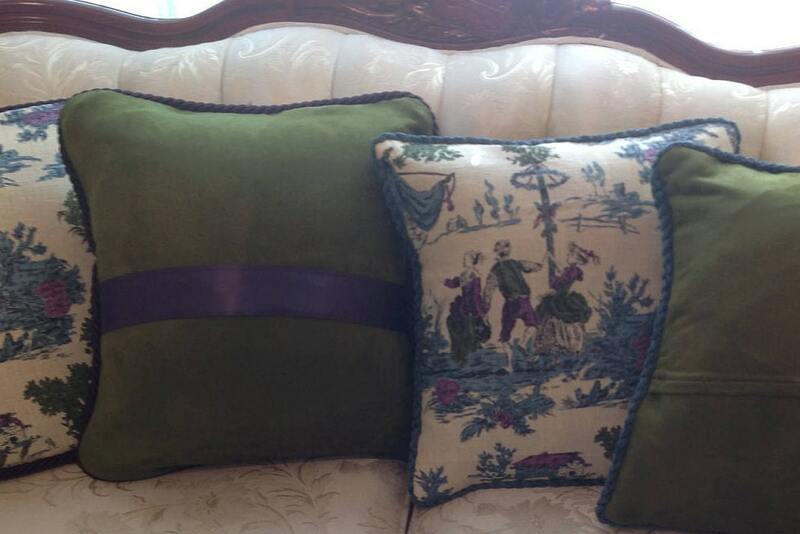 Two pillows are trimmed in deep purple rope with a satin trimmed envelope closure. The other two feature dusty blue rope that matches the blue in the toile. 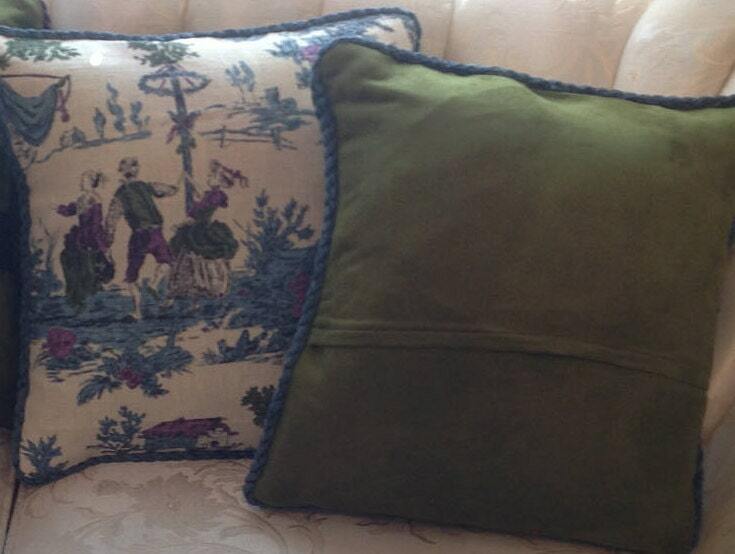 The soft back is a deep forest green to highlight the green in the toile. These pillow covers are ideal to dress up your living room or bed. These are priced individually. Please select which ones you would like to purchase. Toile pillows were promptly shipped out. The craftsman ship and fabric were beautiful. So pleased with her items.